Step 2. Match your Office 365 mailboxes to Nimble. 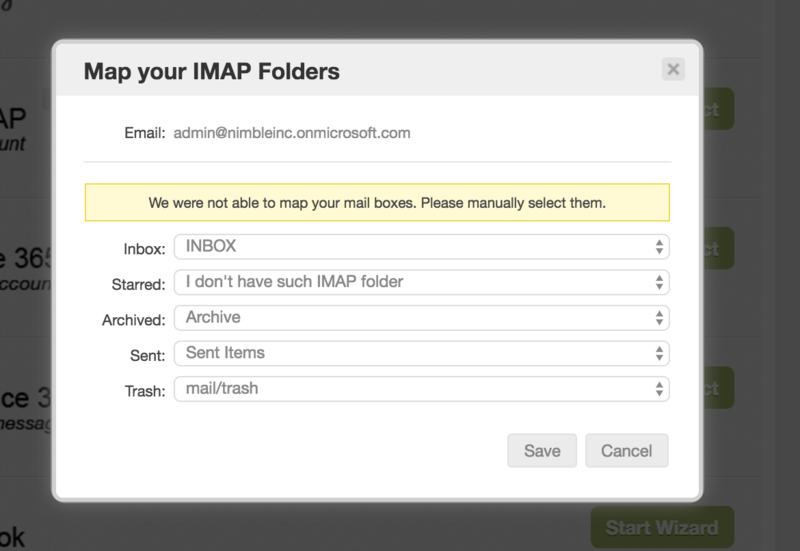 Ensure that your Office 365 emails are properly sent and received by Nimble by matching your folders. Step 3. 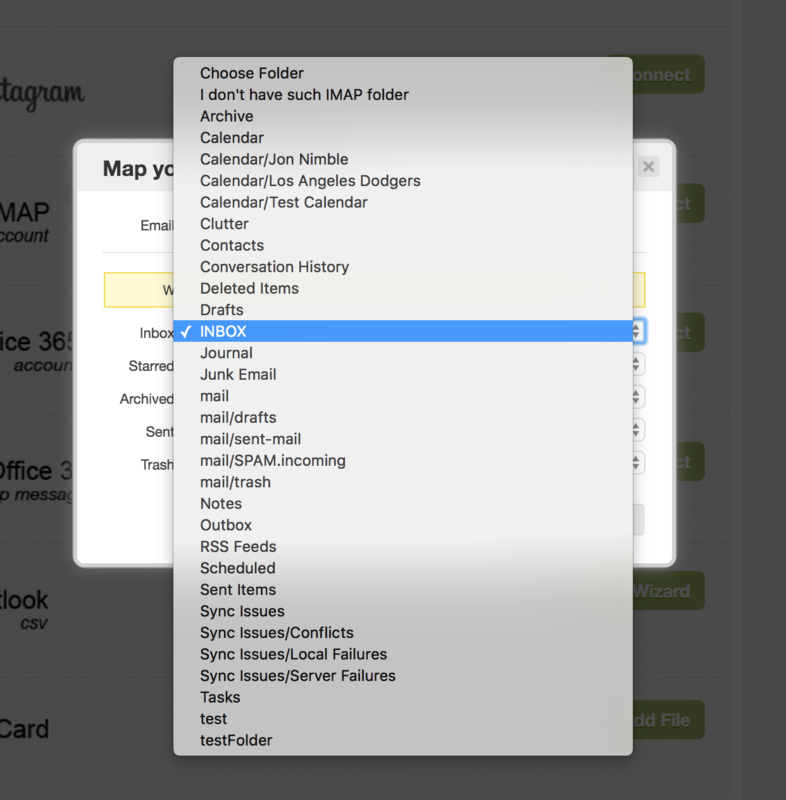 Save your mapped mailboxes. If you have any questions, please write to us and we will be happy to help.